The paintings of Derek Penix reflect his passion for beauty. He has a constant appreciation for nature and through his art he strives to convey what he sees for others to enjoy. Penix, born in 1980, has been painting for only five years. During this short time he has experienced a success that exceeds his years. Born into a very artistic family in Tulsa, Oklahoma, Penix was exposed to oil painting from an early childhood by his mother and grandfather. 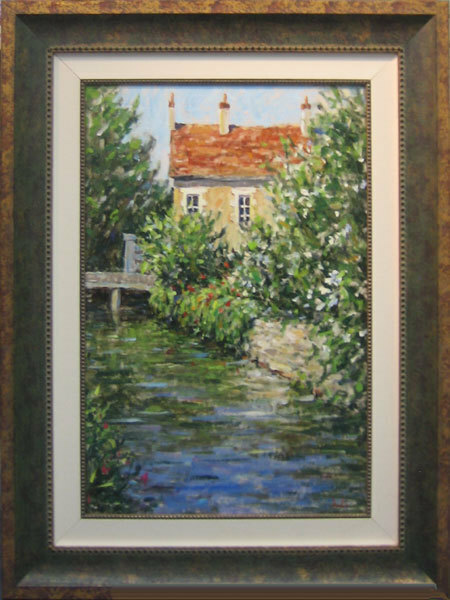 Since the beginning of his painting career Penix has been influenced by the old impressionists such as Claude Monet, Camille Pissarro and Pierre Renoir. A trip to Europe left a permanent impression upon his work as well. Since that time Penix has been steadily gaining more experience, skill and success. Penix currently resides in Tulsa but has spent a considerable amount of time in Southern California and Maryland where he continues to find material and inspiration. Penix enjoys painting nature and people, believing they are raw and natural with beauty waiting to be captured by his brush. Through his classical approach of impressionism Penix exposes what he sees with style and charm. Remember every time you purchase Penix artwork over $995, shipping is FREE in the continental U.S. and there is NO SALES TAX when you purchase outside of Colorado. We SHIP WORLDWIDE and offer Layaway for Penix art.